Caroline "Connie" B. Kohler of Park Ridge, Illinois, passed away on Saturday, November 10, 2018 at the age of 92. Connie was the beloved wife of Otto Kohler and is survived by her dear sister Barbara (Jack) Bobeng and was preceded by her brothers Paul (Jo) and Thomas (Ginny) Brehm. Connie, a member of Phi Beta Kappa and a Bronze Tablet graduate of the University of Illinois, grew up in Villa Park, Illinois. She was the daughter of Thomas Archibald Brehm and Fannie Maude Whallon Brehm. Otto M. Kohler Jr. of Park Ridge, Illinois, passed away on Thursday, December 13, 2018 at the age of 92. Otto was the devoted husband of Connie Kohler and was preceded by his sister Marion Cline and brothers Larry and Jack Kohler. Otto, also a graduate of the University of Illinois, grew up in Wheaton, Illinois, served in the US Navy in WWII and for 40 years was Department Chairman of Social Science at Maine Township High Schools. He was the son of Otto M. Kohler Sr. and Alice Palm Kohler. Connie and Otto are survived by and were the loving parents of Charles (Karen) and John (Patricia) Kohler and the proud grandparents of TJ, Ainsley, Danny, Hunter and Kaley Kohler. A memorial service celebrating Connie and Otto’s lives will be held at 11am on Saturday June 8, 2019 at the Park Ridge Presbyterian Church at 1300 W Crescent Ave., Park Ridge, Illinois, 60068. 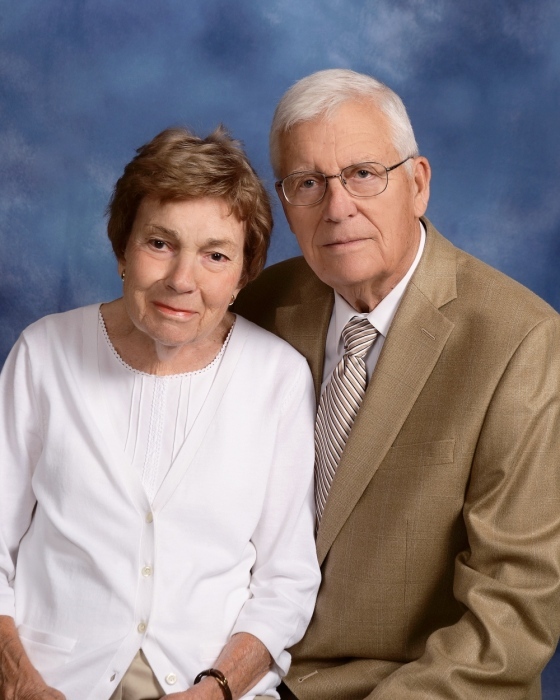 In lieu of flowers, please make any donations in memory of Connie and Otto to the Park Ridge Presbyterian Church. There's still time to send flowers to the Memorial Service at the Park Ridge Presbyterian Church at 11:00 AM on June 8, 2019.